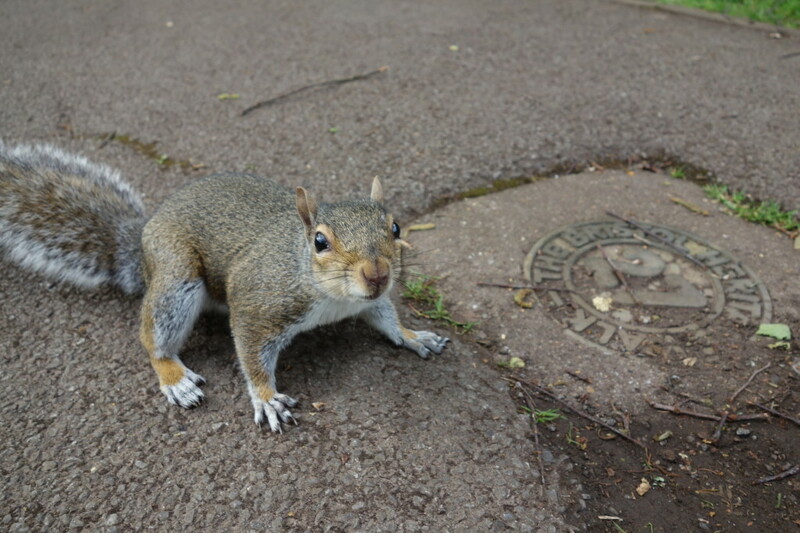 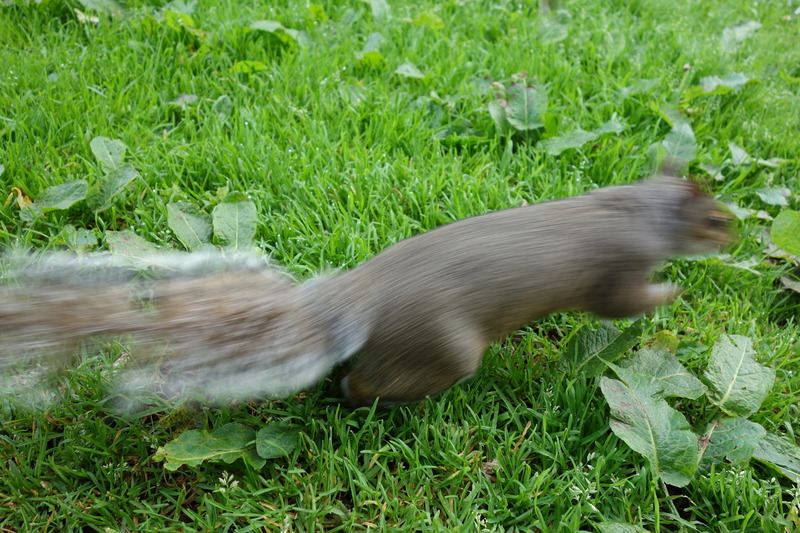 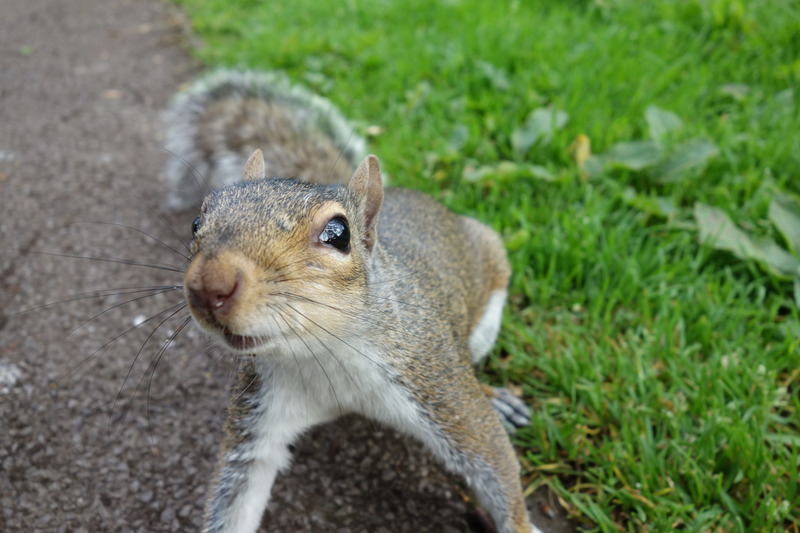 The squirrels around Cabot tower are obviously hand-fed; they come hunting around to see if you will feed them. 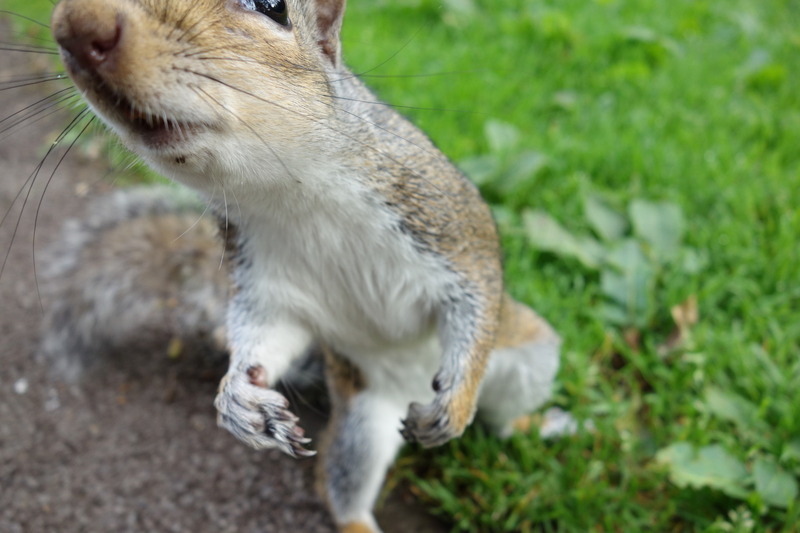 In this case, the squirrel wanted to see if the camera was edible. 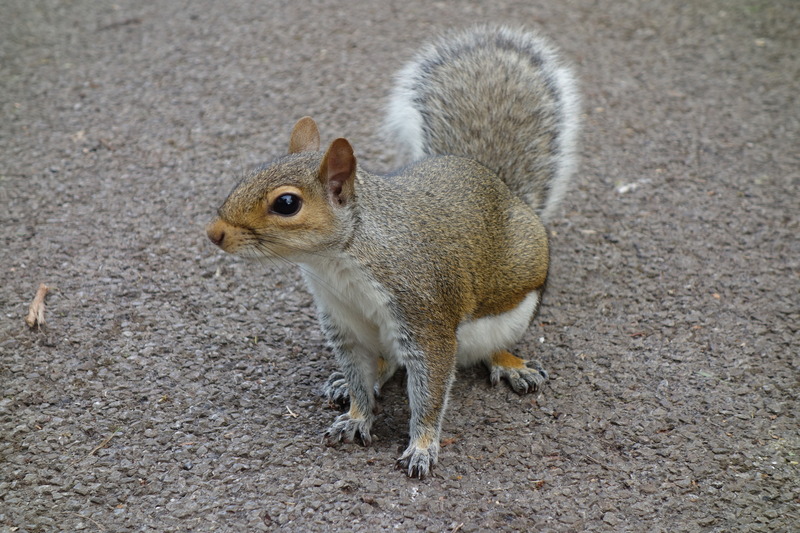 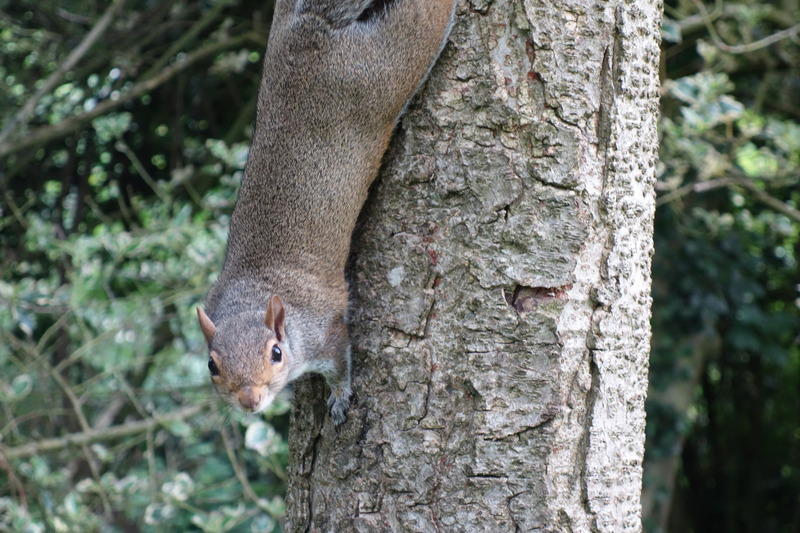 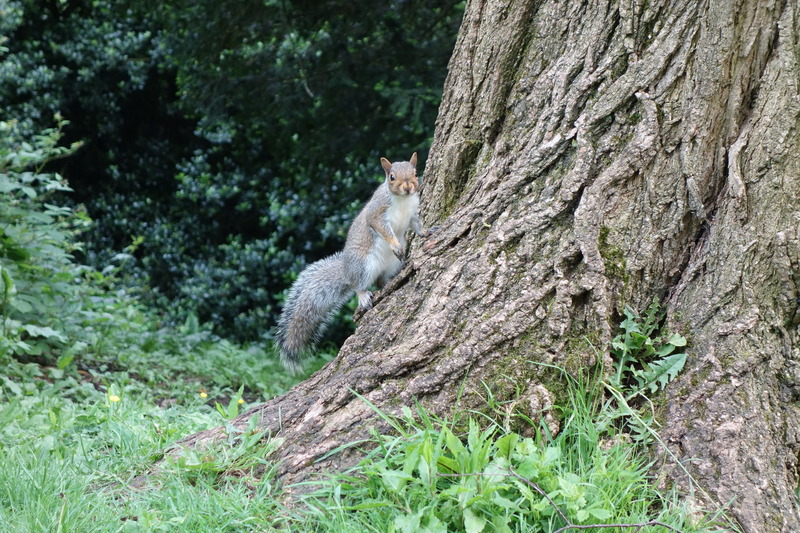 The grey squirrel is an invasive species in the UK; the red squirrel it is displacing was signposted in a number of places in the Lake District (including one notable 20% gradient and squirrel alert sign), but we failed to spot any.